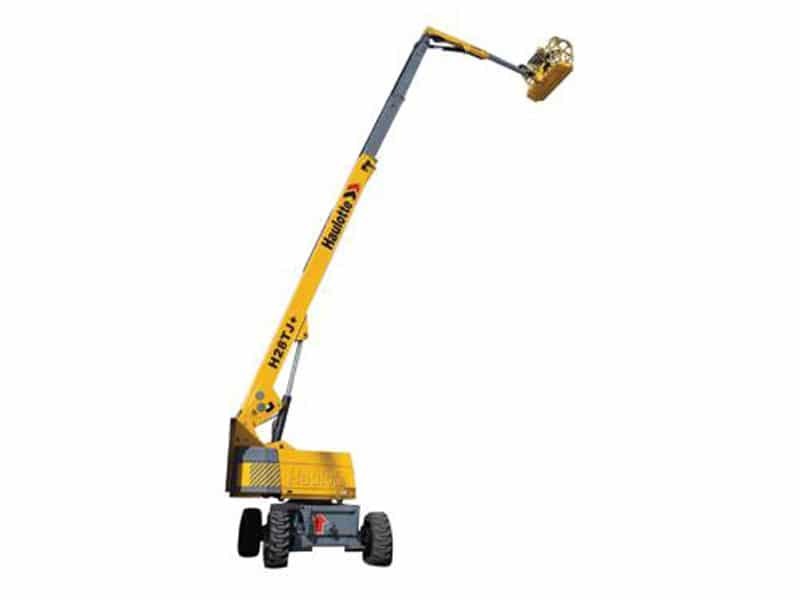 We have the perfect cherry picker for hire or two for your project. Please have a look at our telescopic boom lift range below. At Sterling Access, we have a selection of cherry pickers available for hire. Our equipment is extremely versatile and durable, and our range of articulated boom lifts are perfectly suitable for a variety of construction sites and projects. Cherry pickers offer greater horizontal outreach abilities than other types of platforms, making them ideal for areas with limited access. Our boom lifts are designed for productivity; with the drive speed you need to effectively get around your construction site. These powerful diesel engines provide great lifting abilities, with a combination of positioning options. They are ideal for industrial applications and outdoor construction projects. Our cherry pickers are ideal for reaching up over equipment and machinery, as well as objects on a floor. These machines have a turntable with a 360-degree rotation, and the boom can be adjusted from vertical to below horizontal. Our machines have a platform height that vary between 20 and 40 metres, perfect for a variety of applications. 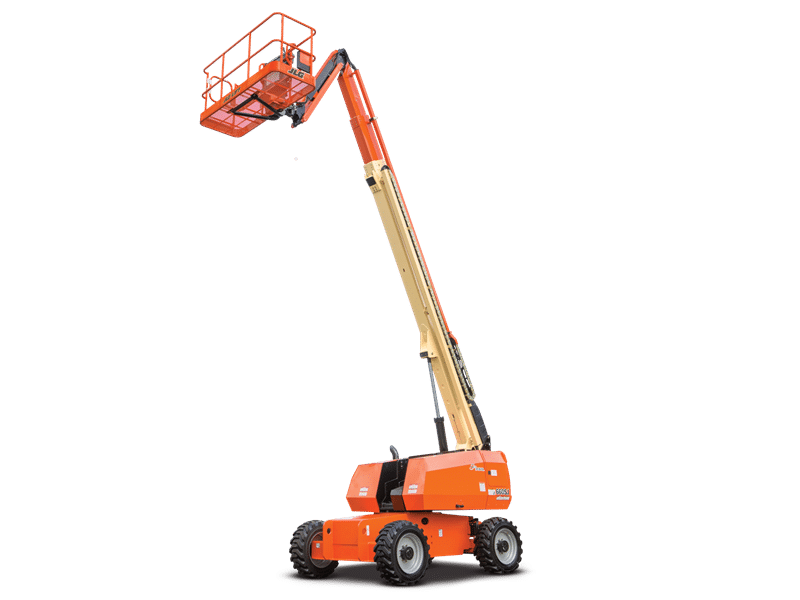 Why Hire a Telescopic Boom Lift? 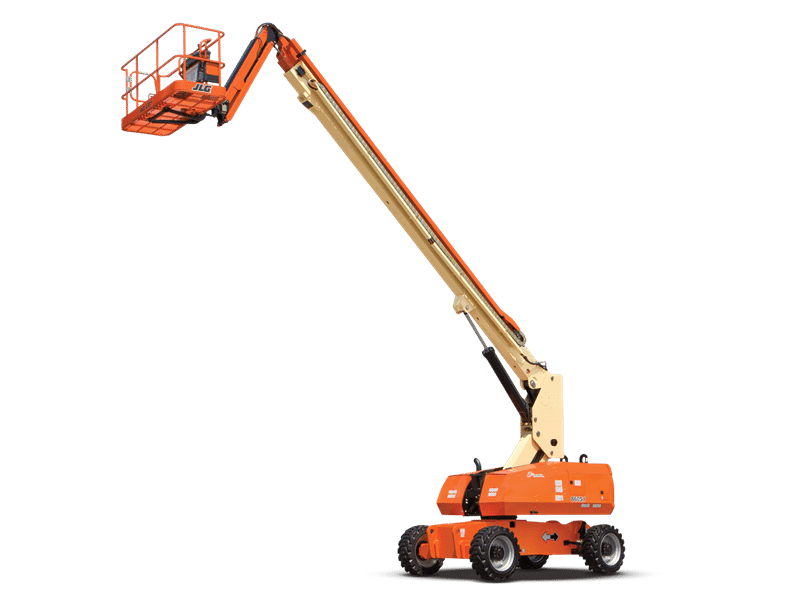 Telescopic boom lifts are predominantly designed for areas where horizontal outreach is required, especially where there is limited access. They are used on industrial and construction sites, to help improve productivity. They allow the operator to easily move around the site effectively and with minimal tail swing. This allows for effortless work within tight spaces. These machines can be used indoors and outdoors, and they can assist with steel erecting, cladding, roofing, general construction and more. When it comes to operating a cherry picker, remember to always ensure that you use a trained operator. This will also ensure that you comply with the relevant legislation and that you provide a safe working environment for all your employees. 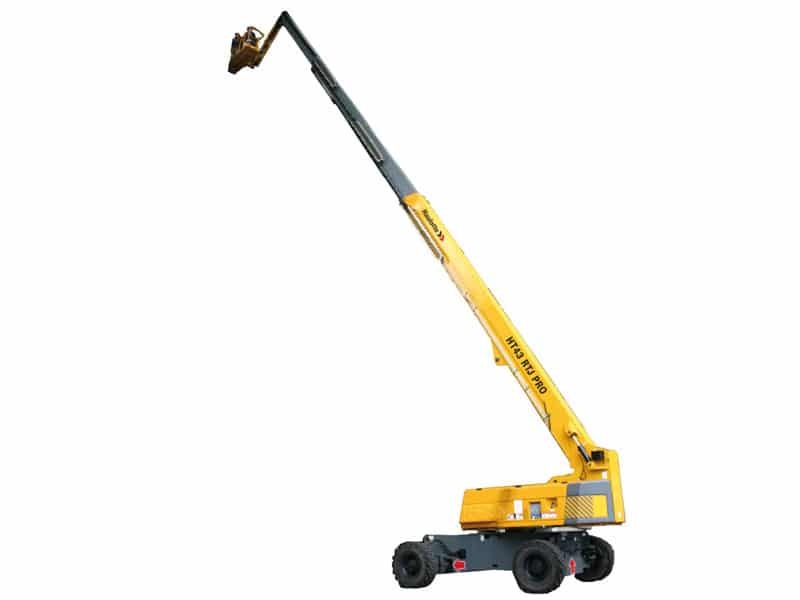 At Sterling Access, we specialise in providing you with reliable, high quality and durable telescopic boom lifts for hire. Feel free to browse through our selection of equipment and if you have any specific requirements, please let us know. We ensure that we comply with the manufacturer`s recommended service plan and ensure that our machines are load tested once a year, as per South African legislation, and therefore ensure that our machines are always in an excellent and safe working condition.